Our ecofriendly windows have the potential to enhance your home’s energy efficiency. They will allow less heat to escape and enter your home, which gives your HVAC system a bigger break as it cycles to regulate a nice temperature inside. After installation, you may notice more comfortable indoor temperatures and possibly even decreased energy bills. We back our windows with an impressive lifetime warranty for your peace of mind and assurance that you will be taken care of long-term. Our factory-trained and -certified technicians will expertly install your windows inside your home, thereby minimizing the drafts that otherwise occur when gaps and cracks between a window and a wall are not properly sealed. 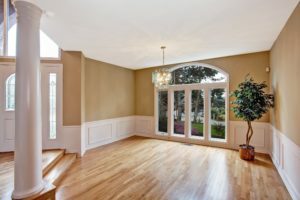 Additionally, while we install your custom windows in your house, we will strive to minimize the disruption to your daily life as much as possible. We will work quickly without sacrificing quality and will leave your home as pristine as it was before installation began. Contact Green Machine today for more information on having completely custom windows installed on your home in St. Augustine, FL.